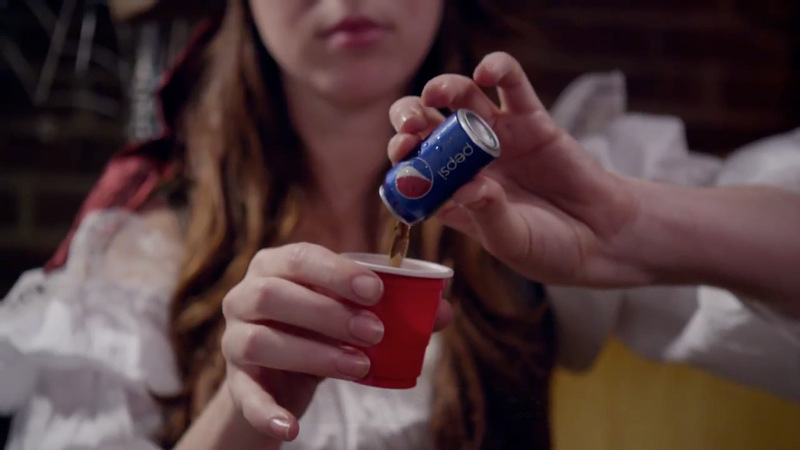 This cute Halloween video from Mekanism introduces a faux product called Lil' Pepsi, "the tiny treat that does the trick at any party!" We're talking about itsy-bitsy cans of soda, maybe 0.5 fluid ounces each, sized to fit in a doll's mini-mini-mini fridge, right next to the itty-bitty beers from that Dish commercial. Lil' Pepsi sprang from the client's challenge to its in-house marketing execs and domestic agencies to come up with a fun ad concept. The spot is getting a fair share of spooky-week press and starting to pop on YouTube, so I guess that proves there aren't any small ideas. Or maybe it proves there are.